Today’s Expert Interview is with physical culture polymath Logan Christopher. Logan has a vast area of expertise ranging from strength and nutrition to the mental aspects of exercise. 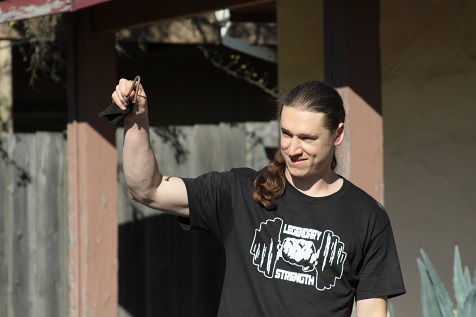 Logan is a strongman, an acrobat, a master in bodyweight exercise and he’s here to share with us nuggets of wisdom from his wide range of interests. Bodyweight Todd: You perform some killer strongman feats. Would you say it’s possible for anyone to train up to that level? Logan Christopher: Absolutely! While some people are strong genetically or do something like gymnastics at a young age and thus have a good foundation of strength, I had neither of those things. I really got started becoming strong when I was an adult and everything I currently can do is built from the ground up. If I could do it, anyone can. You simply need the desire to want to become strong and the willingness to work at it with persistence and intelligence. You can become stronger no matter your age or anything else. Bodyweight Todd: You have an extremely varied background. What system of training has impacted you the most? Logan Christopher: There really isn’t one system and I think that is a big part of what makes me unique. I’ve been called the “Physical Culture Renaissance Man” because of the wide range of things that I do. Although there is certainly benefit in focusing on one thing and going as far as you can with that, there is also benefit from variety. 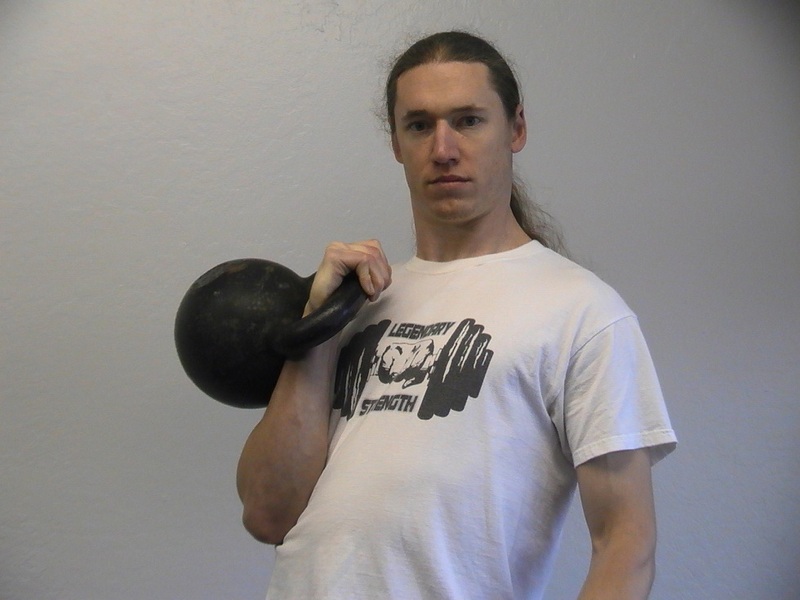 Thus I can get improvements with each of the advantages of bodyweight exercises, kettlebells, barbells, partials, isometrics, feats of strength, strongman training, and more, without getting the drawbacks of using any of those exclusively. 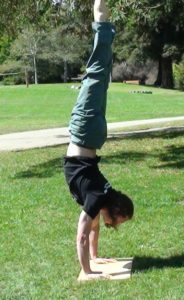 Bodyweight Todd: Do you have a favorite bodyweight exercise? Logan Christopher:That’s a tough question. Ask me on a different day and you’ll get a different answer. 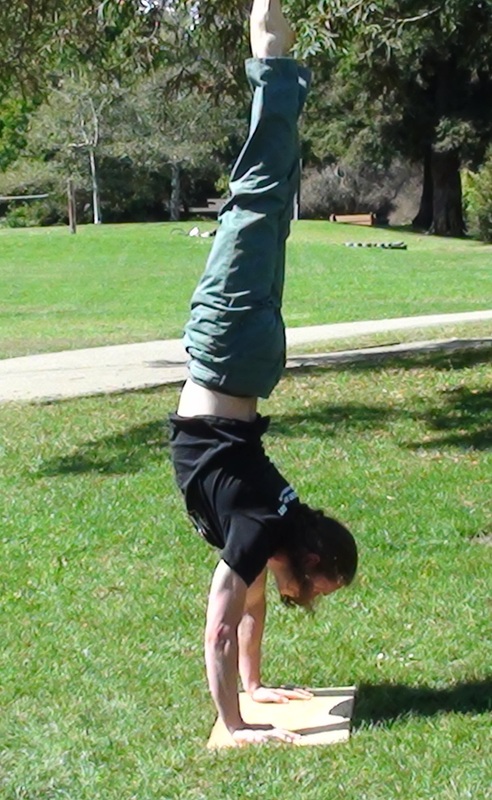 But today what comes to mind is the freestanding handstand pushup. It’s a beautiful combination of strength and skill. What most people don’t know is that it takes more strength than handstand pushups against the wall. Even if you don’t lean against the wall, it still supports some bodyweight. Add to this keeping your balance as you descend and ascend and you have the makings of a great single exercise that does a whole lot. If you can do a single rep you’re far ahead of most people. If you can do ten or more you’re pretty elite! In your report “Get Grounded”, you talk about the benefits of working out barefoot. Can you expand on that? Logan Christopher: There is really two different benefits here. The first is in being barefoot. Our feet simply aren’t meant to be in casts (i.e. shoes) all the time. When you are barefoot your feet can pick up a lot more “data” proprioceptively. This is good for balance and other qualities of movement. The fact of the matter is you can’t walk properly if you’re in a shoe, according to some foot people, especially if there is any raised heel. I understand certain shoes are useful for things like Olympic lifting, but besides those cases I say ditch the shoes as much as possible. Secondly, there is the benefit of grounding or earthing. This was some scientific research I learned about years ago and have been applying to my life ever since. When you touch the bare earth, there is actually an electrical exchange. In contrast, rubber soled shoes or being indoors keeps us insulated from this. What the science has shown is marked reductions in inflammation, balancing of cortisol (especially in women), better sleep, and when it comes to training, that all means better recovery. So this is a great practice to do when you are working out, as well as at other times. Bodyweight Todd: What is mental training and how can it improve performance/strength? Logan Christopher: As I mentioned previously I wasn’t born strong. Because of that I sought out methods that could help me get the results I wanted of becoming ridiculously strong. One of those areas, which is underused and vastly misunderstood, is mental training. This is a huge subject area that can be broken into other areas including mental toughness, goal setting and planning, visualization, hypnosis, belief work, mental frames, and more, not to mention various energetic means. As a quick example of what it can do, and I know this sounds unbelievable, but that’s just because it is outside of most people’s paradigms, is mental training can help people to see instant gains in any exercise. This is done by looking at what I call the “mind code” a person has around an exercise. This is how they perceive it internally via the different senses. Once that is found out, it can be altered to be made better and voila the exercise becomes easier. Time and time again I have seen people go from the impossible to possible, double or triple reps, or sometimes just a smaller 10-20% increase in what they can do. If it is done right it always works to some degree! This is the part of mental training that no one else teaches. Bodyweight Todd: What can we learn from the old time strong men like The Mighty Atom? Logan Christopher: The Mighty Atom was my biggest inspiration. Reading his biography is what really triggered me into wanting to become a strongman. He was born as a weak and sickly child. In fact, the doctors said he wouldn’t live, but he did. He ran away to join the circus where he was tutored by a strongman and wrestler named Volanko. From there he went on to become one of the strongest people ever to live. Other strongmen like George Jowett had similar stories of coming from nothing to becoming super strong. 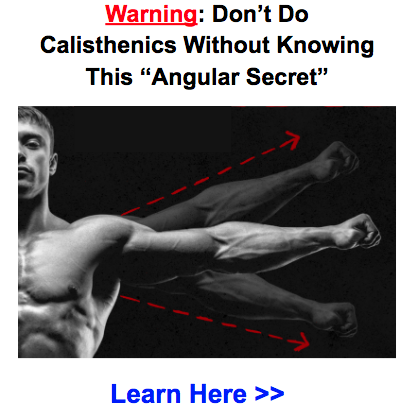 In addition to the techniques and methods used by these people, which are worth studying, we can understand that it’s the desire to be strong that comes first! 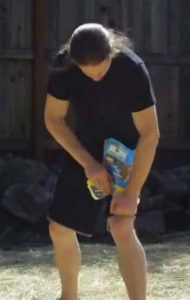 Bodyweight Todd: What is one of your favorite nutrition tips for building strength? Logan Christopher: This is another area I have dove deep on in order to support my goals, that I feel is underused by many, but has been one of my secret weapons. While some people just train and get strong, to me it was important that my health always come first. In doing so I’ve learned from several systems of herbalism (Chinese, Ayurvedic, Western) and the power of what herbs can do. First of all, it’s important to note that herbs of many types are a natural part of our diet. Always have been and always will be. We’ve just gotten away from that idea because of Western medicine (and most of those medicines are simply isolated plant parts, often times tweaked for patenting reasons). There are many different types of herbs that can help with strength. Adaptogens help the body to adapt better to any form of stress. Working out is a form of stress, thus you come back better, in addition to typically feeling more energy from these. Hormonal herbs can balance and regulate your hormones. If those are in the tank, you will not be able to get stronger period. And that just scratches the surface though those are two of the more direct benefiting herbs to strength. Bodyweight Todd: Your story of how you got started, as a 100 pound high schooler to the point where you are able to perform these amazing feats of strength is very inspiring. What would you say to inspire someone who has difficulty making gains? Logan Christopher: Firmly affix the idea in your mind that you will be strong and it’s just a matter of time. I’m 30 years old right now and I’m excited to get older because I will become stronger in that time. So once you have that belief in yourself it is time to get to work. If at anytime what you are doing is not working, take a step back, notice why it isn’t, change your plan and then go about it once again. Once you understand the principle of progression, which is simply that you must do more in some fashion (more intensity, volume, density etc.) each time you train, then you no longer get stopped by facts that don’t matter that much in the big picture, like how many sets or reps to do. Thank you, Logan. That was extremely fun and informative. 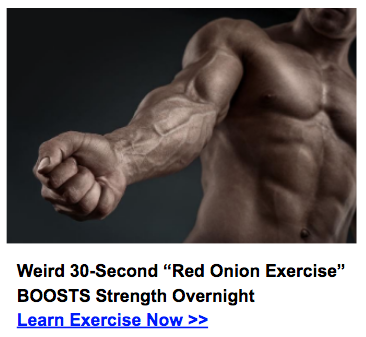 I’m sure the SOA tribe will love your holistic approach to fitness just as I did. Keep up the awesome work! That’s awesome Max. I definitely relate too. 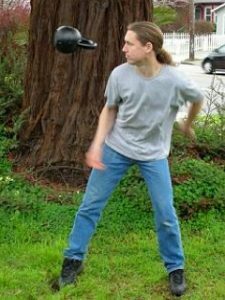 Growing up I was always very skinny and never focused on physical development. Though great things happen when you start pushing yourself. Keep us posted! Highly inspirational!!! He have tried many things ( strongman feats, bodyweight skills, acrobatics,mental toughness…. ) which gave us message to try everything else unlike depending only on muscle building and fat loss. This will be fun and will keep us motivated.